Rental of the house includes:The Daniel H. Caswell House is an excellent venue for your organization's next business conference or social gathering. Our location is at the corner of West Avenue and 15th Street with the convenience of being downtown without the hassle!! 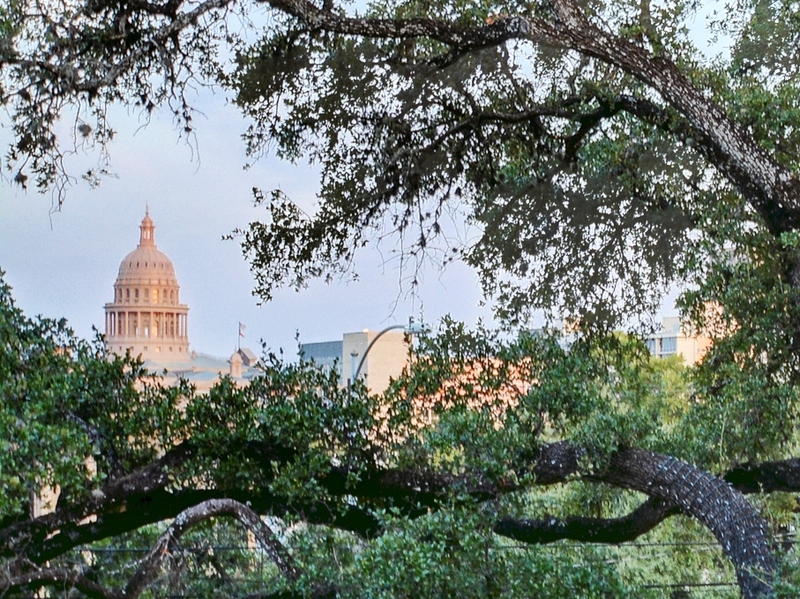 The classic elegance of the home and its view of the state capitol dome are sure to inspire. The house is handicap accessible, and ample parking is available. The Caswell House hosts only one organization or event at a time, so when you rent the house, except for necessary support staff, you and your invited guests have exclusive use of the house. Colleagues, associates, clients, and guests will be impressed as they approach the house's spacious, wrap-around porches. The front hall offers a warm welcome and plenty of space to greet guests and get organized. The main room on the second floor can serve as a keynote auditorium or comfortable banquet hall. 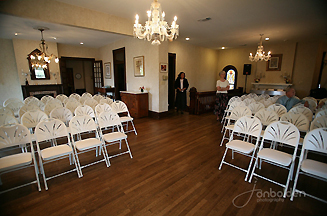 For lectures and other presentations, the Caswell House can provide a podium, public address system, projection screen, and seating for up to 90 people. Wireless Internet access is also available. 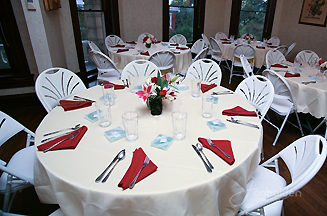 The room converts easily to host luncheons and other social gatherings. The Caswell House can provide tables, chairs, bars, and a podium for a nominal fee. If you choose to use our furnishings, we will set up the room before your event and return the items to storage after your event has ended. A Steinway piano in the second floor of the turret adds a touch of class and an opportunity for live music during your event. To preview the house, please visit us for an informal tour and speak to a member of the Austin Junior Forum. The house is also available for preview by appointment. To schedule an appointment, please contact us. Please click here for rates and reservation information.